After having an amazing time in the Salt Lake City area, we traveled into beautiful Idaho. Our first stop was Boise. Roy’s mom had been there a couple of times and was impressed with their vibrant downtown. 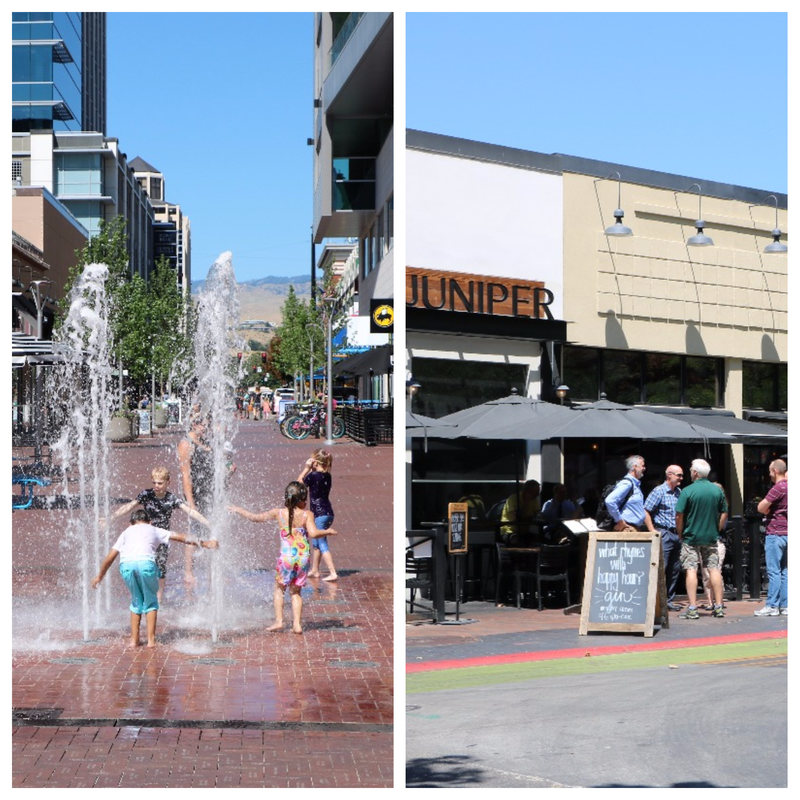 Boise has a sort of outdoor mall area that has lots of shopping and the Grove Fountain. 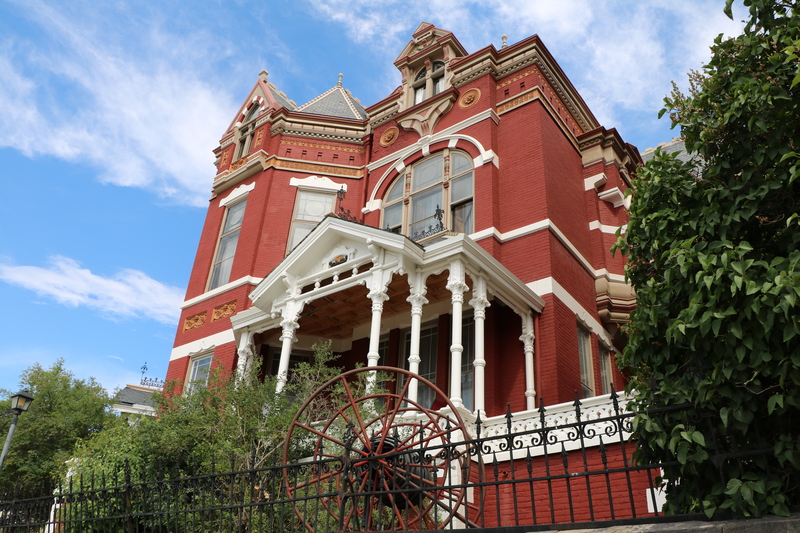 Adjacent streets have trendy restaurants and nearby we found the Julia Davis Park that has the city zoo, paddle boats to rent, and several museums. The Boise River Greenbelt runs through the park which really adds to the appeal of the city. 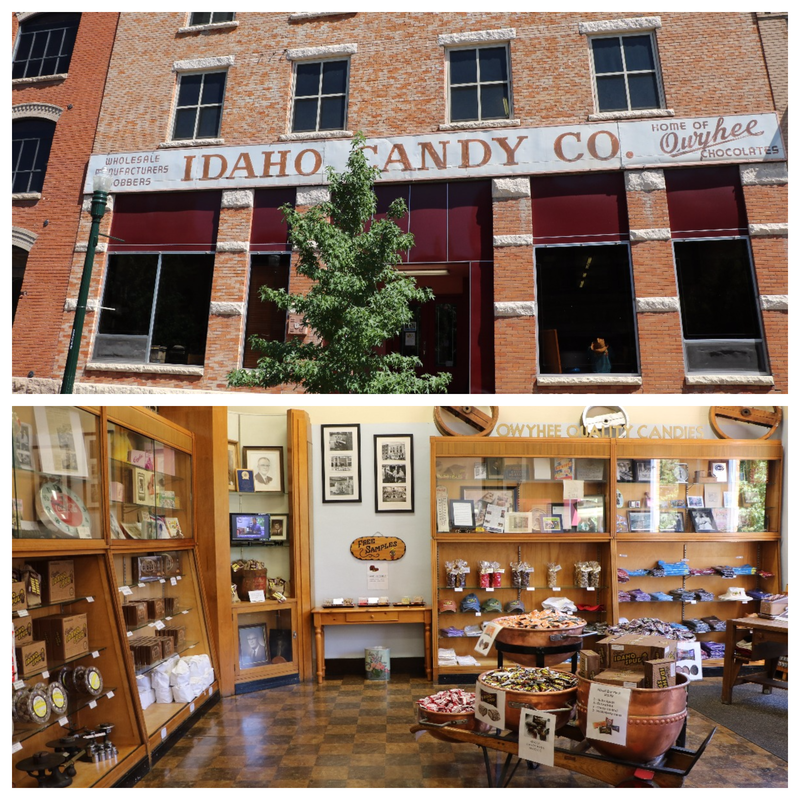 Just a short walk from the fountain is the Idaho Candy Company in its original 1901 factory building. I was hoping to find licorice but instead I discovered their specialty, the Idaho Spud. It’s a slightly brown marshmallow covered with chocolate and coconut. However, what I really took a liking to was their Huckleberry Gems. They offer other marshmallow based candy like Chicken Bones, but also old time sweets like burnt peanuts, chocolate clusters, and toffee. In the 1830’s, immigrants from the Basque region of Spain (around Bilbao) settled in Boise and nearby towns. The museum tells about the history of the Basque people both before and after they came to America. Today, Idaho has the largest Basque community in the U.S. and Boise has a whole area called the Basque Block. 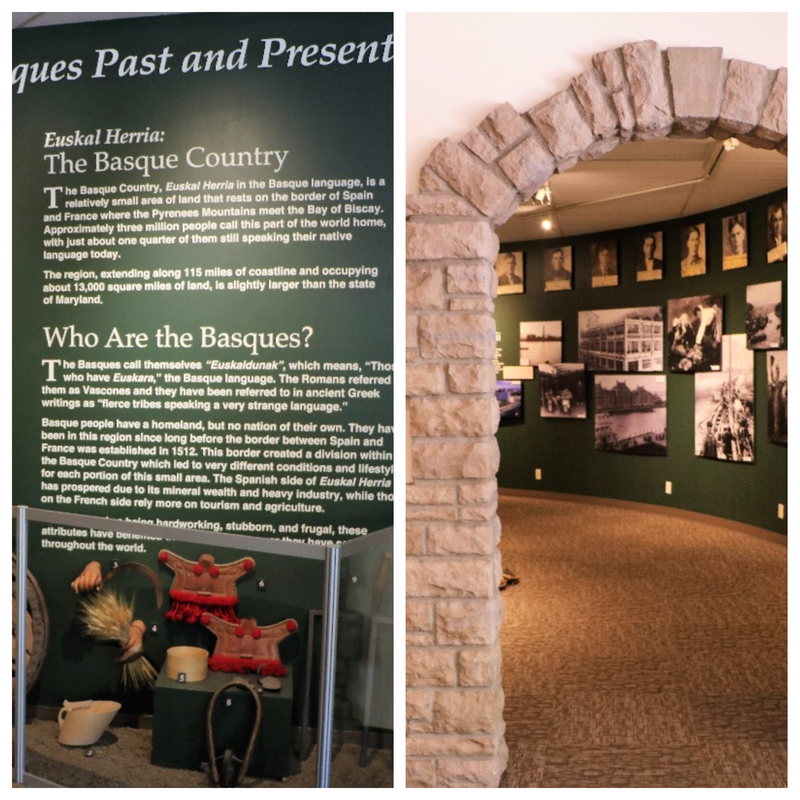 We visited the the Basque Museum and Cultural Center and felt like we learned a lot not just about Idaho but about world history as well. 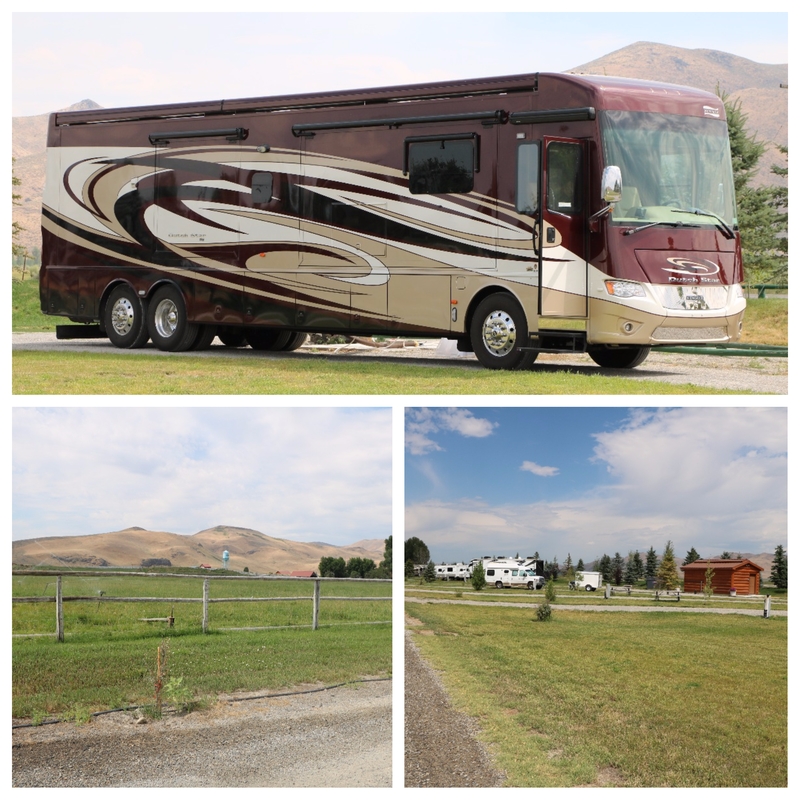 Then we headed to the Sun Valley area and stayed in the Picabo Angler RV Park. 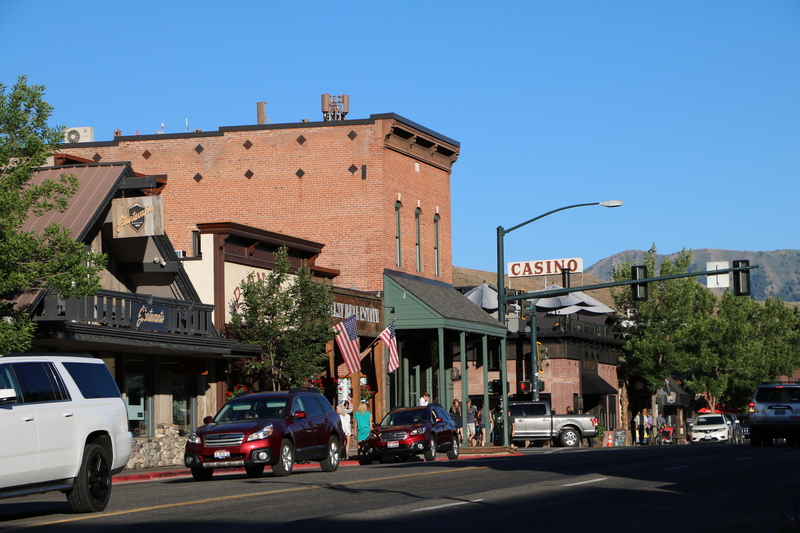 Picabo is 45 minutes or so away from Ketchum and is a “town” composed of a gas station, a store, and the RV park. 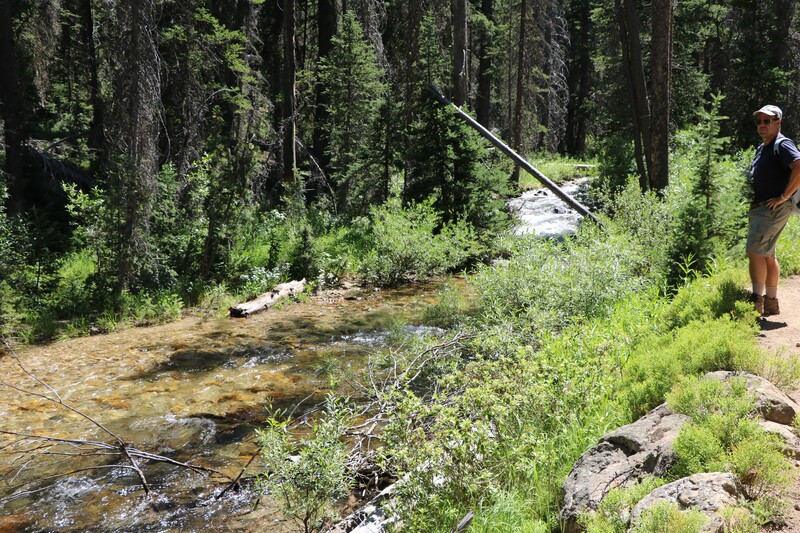 The big draw here is fishing in the nearby Silver Creek. 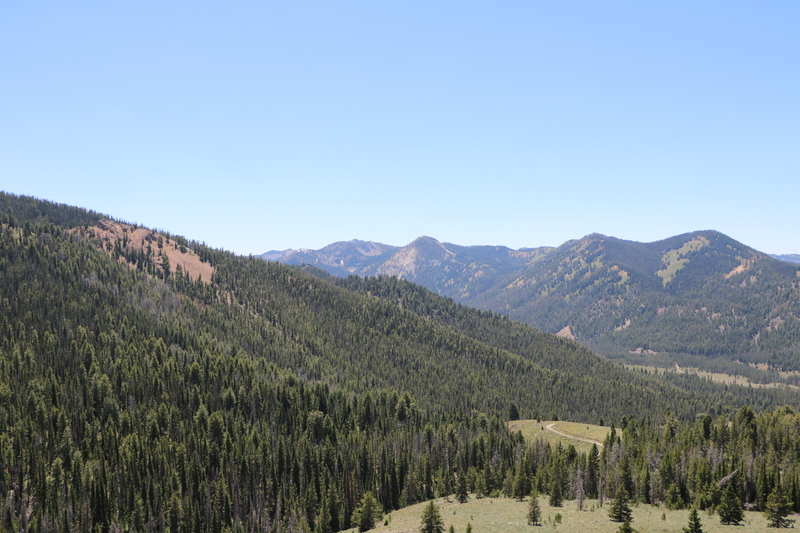 The Sawtooth National Forest was about two hours from the RV park and what we really wanted to see. It is where the Clint Eastwood movie Pale Rider was filmed which we watched the night before we went. The scenery looked just like the movie. We drove up to the town of Stanley and found the trail head to the Iron Creek Trail. 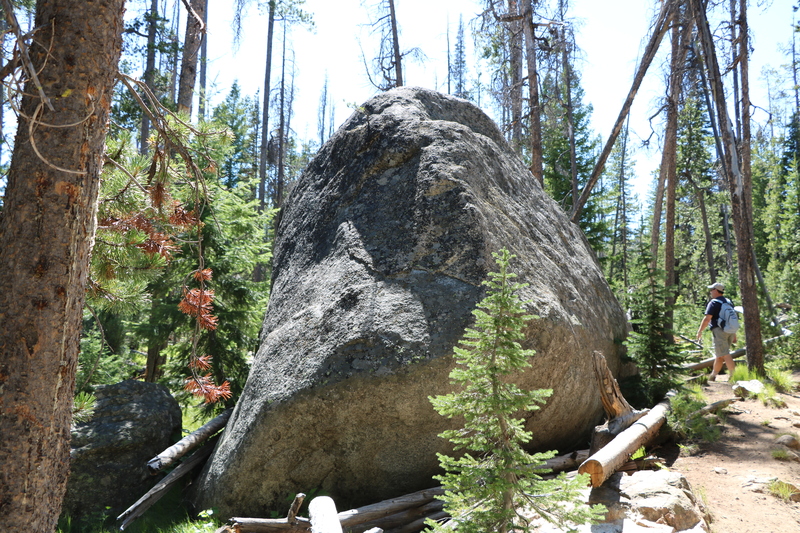 I am guessing that glaciers deposited the huge boulders we say along the way. As we went higher the views got better and better. 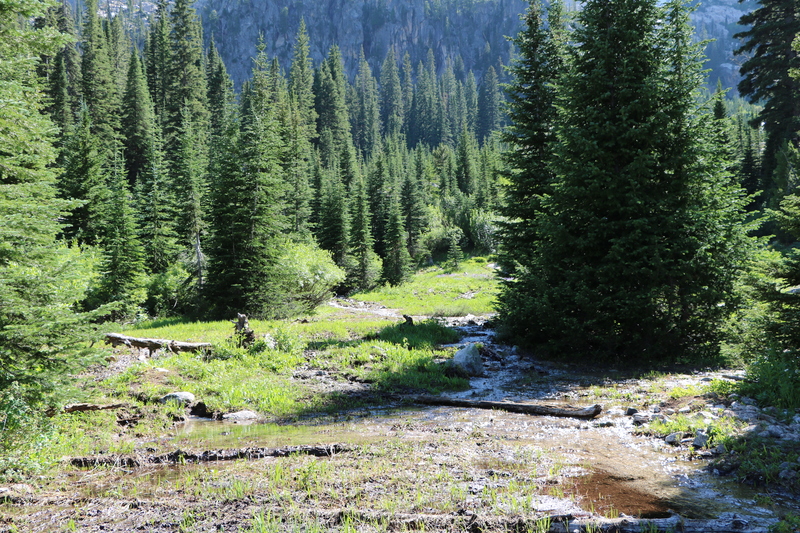 At one point we stepped out into this valley area that was full of little trickling creeks. The lighting was absolutely amazing but sadly, my photographic abilities don’t even begin to capture how the water sparkled. 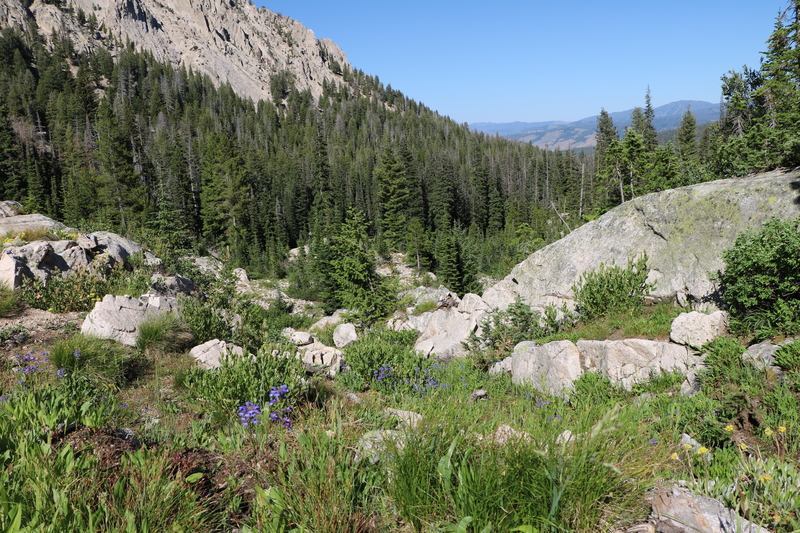 This hike is probably one of my all time favorites for the beauty and variety of views to see. The town of Ketsum was the last place Hemingway lived before he died. Apparently he loved to fish in Silver Creek. 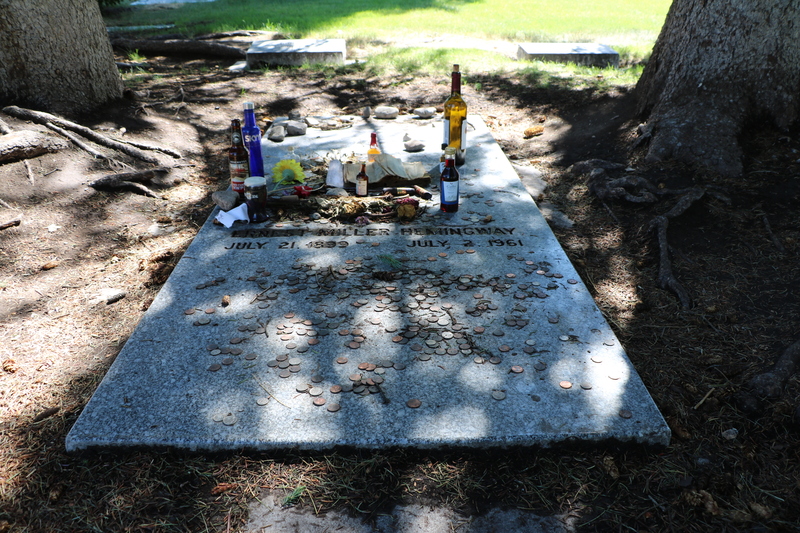 Hemingway’s Grave is in the town cemetery. 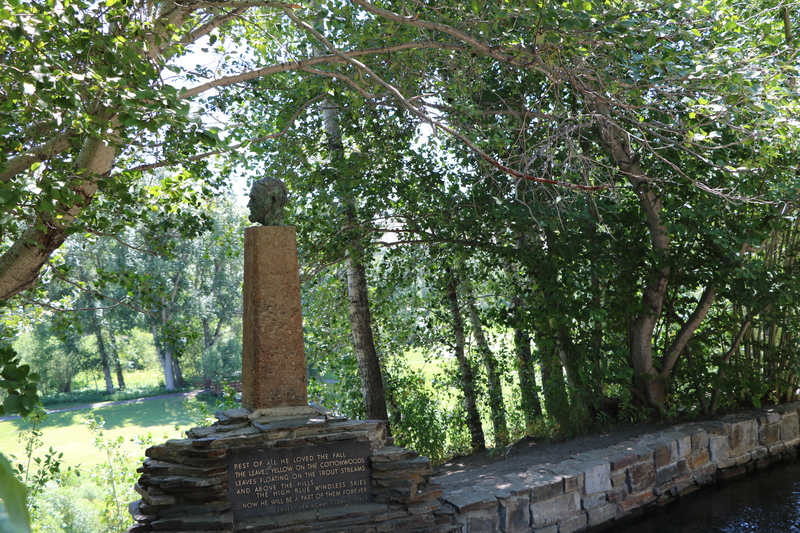 There is a monument to Hemingway just outside of the Sun Valley Resort. Back in the day, the Sun Valley Resort offered celebrities free stays in order to cultivate the idea that it was a premier ski resort for the rich and famous. Of course Hemingway stayed there and was said to have finished writing For Whom the Bell Tolls in suite 206. Inside the lodge are photos of movie stars such as Clark Gable, Gary Cooper, and Ingrid Bergman as well as politicians. The flowers around the lodge were beautiful and we were amazed at the outdoor ice skating rink which was hosting a competition in the 80 some degree weather. There are some little shops in the resort and some restaurants. 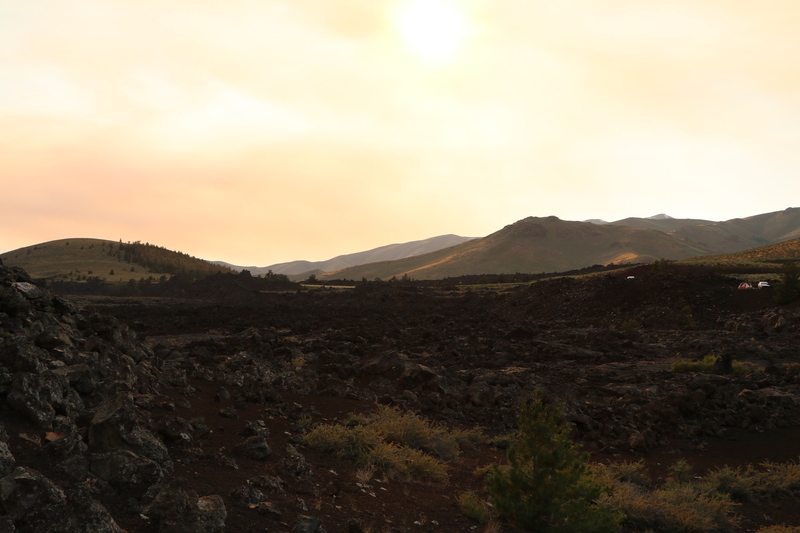 Craters of the Moon National Monument was very close to our campground in Arco. 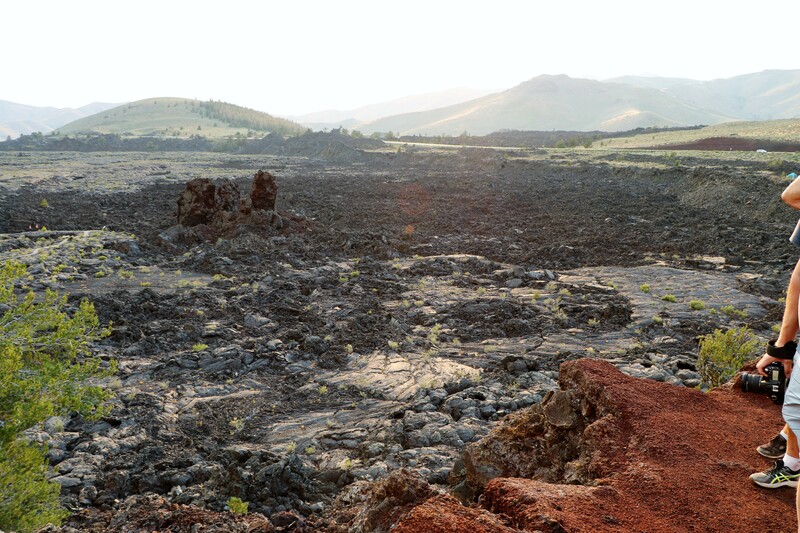 I thought it was a place where a meteorite hit the earth but it is actually a lava flow left from an ancient volcanic eruptions. 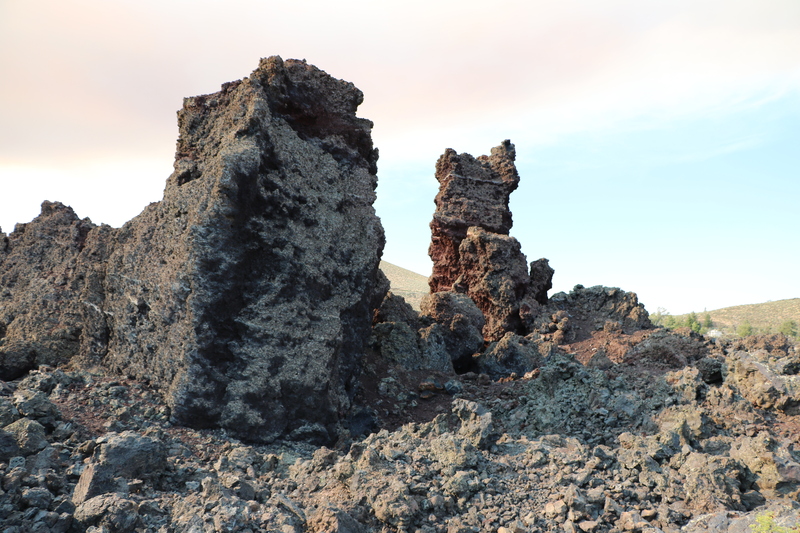 The park has loop drive and several opportunities to get out and take short hikes to viewing areas and lava tubes (caves). 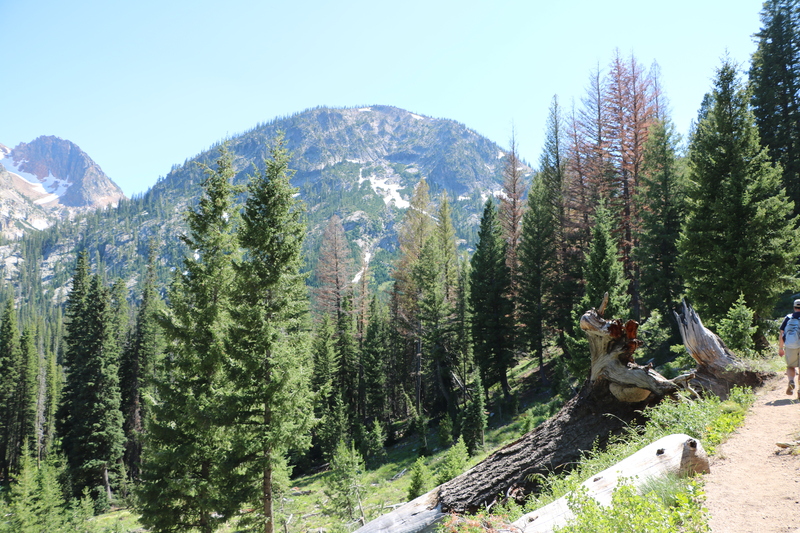 This is where we first experienced smoke from forest fires which continued to follow us for the rest of our trip. 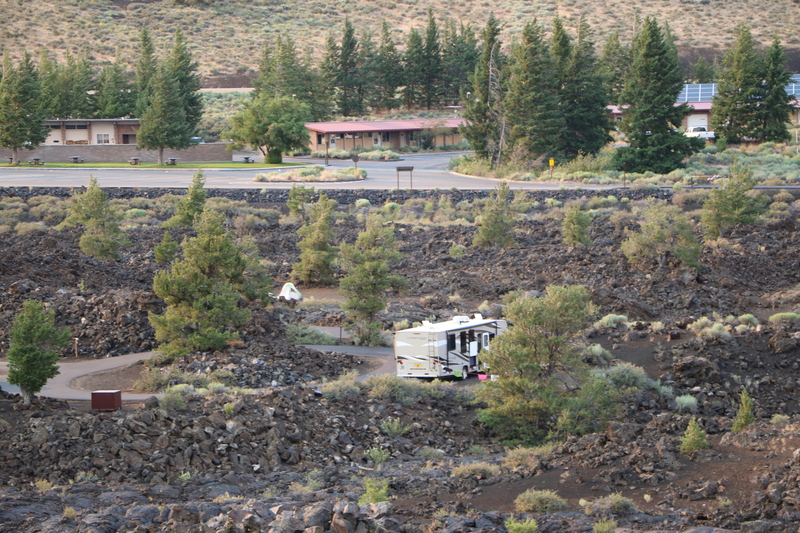 The site also maintains a campground right in the middle of the lava flow! It’s first come, first serve. People just come in, find a spot, and then pay via a machine that looks like an ATM. Then, we ventured into Montana for a few days. 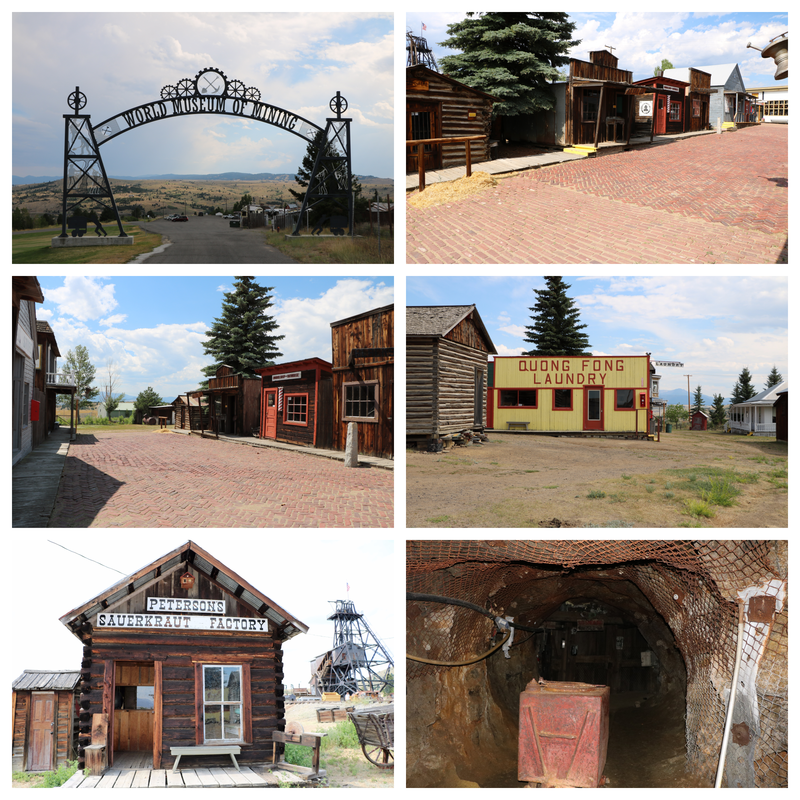 We spent a day in Butte. In the morning we visited the Copper King Mansion which was one of the homes of W.A. Clark who was once one of the richest men in America. I had read the book Empty Mansions, a biography about Clark’s eccentric daughter Huguette, so I was really interested in seeing the house. Each room featured a different kind of wood and the details were amazing. 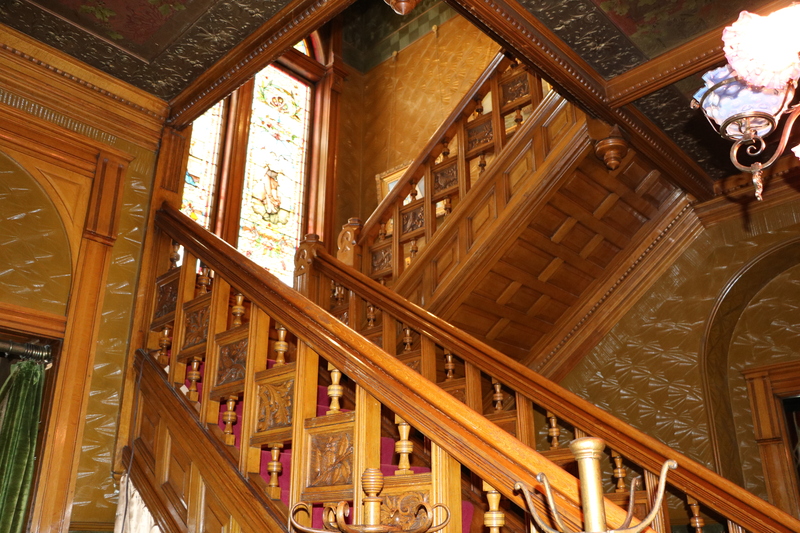 The house is now privately owned and is a bed and breakfast that also offers tours to the public. For lunch we ate at Matt’s Place, a diner built in the 1930’s. 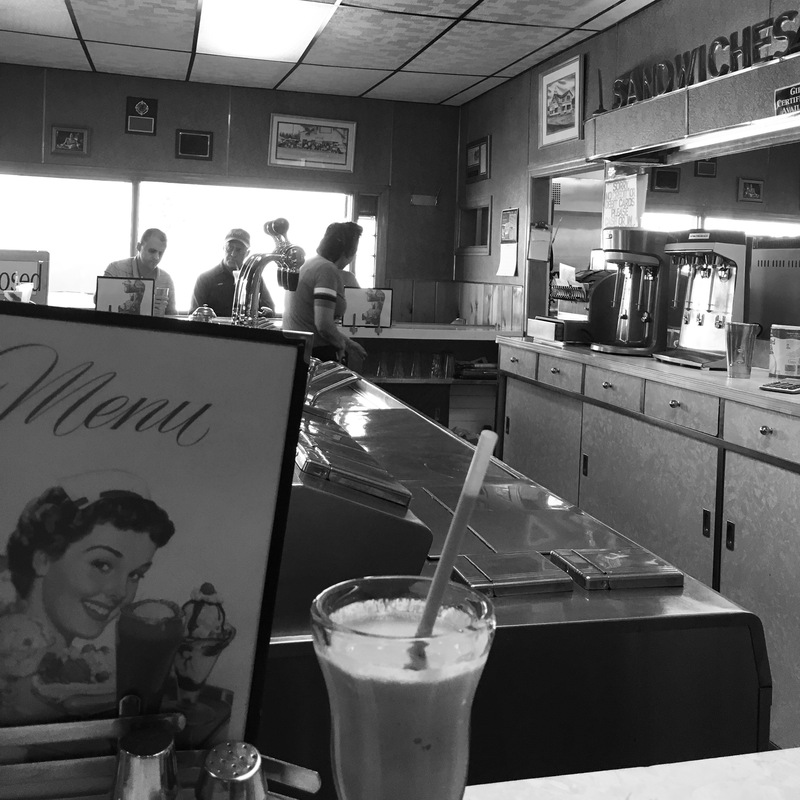 We had really, really great hamburgers and the best milk shake of my life. In the afternoon we went to the World Mining Museum. We took the underground tour where we had to wear mining hats with lights on them so we could see our way in the total darkness. 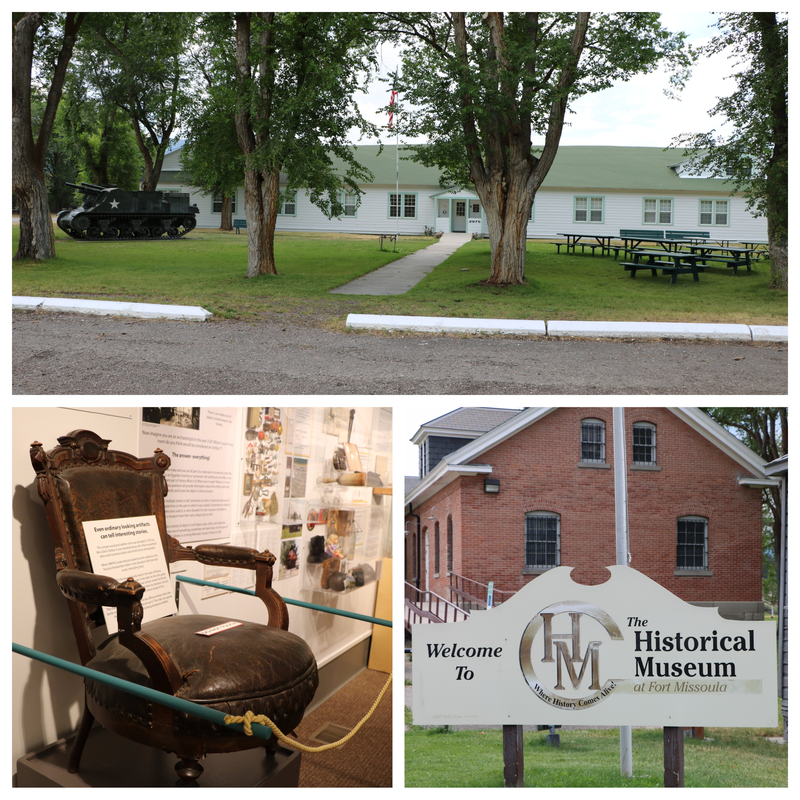 The museum also has a mining town with historic buildings that have been moved to the site and then restored. 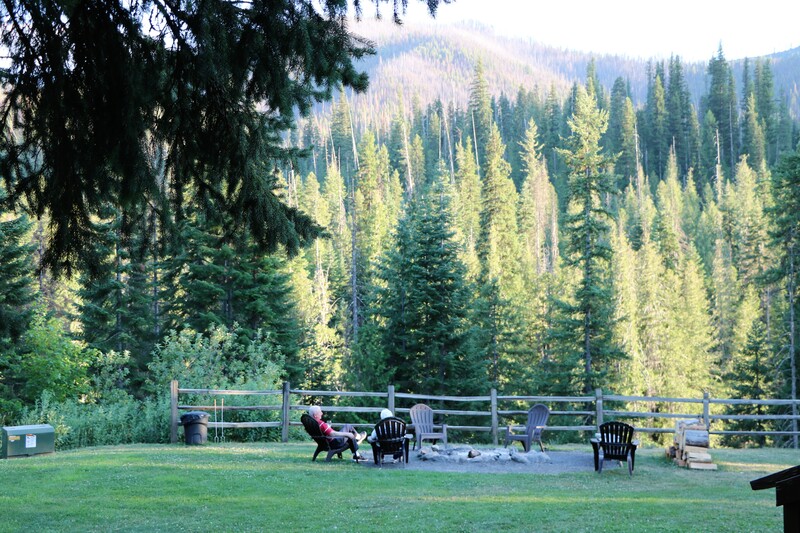 From there we went to the Lolo Square Dance Center and Campground which is just outside of Missoula, Montana. We had stayed there last year and really enjoyed Missoula and all it has to offer. 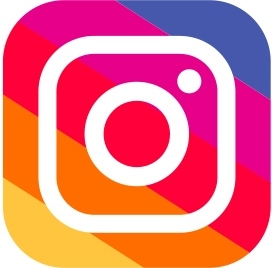 See what we saw then by clicking HERE. 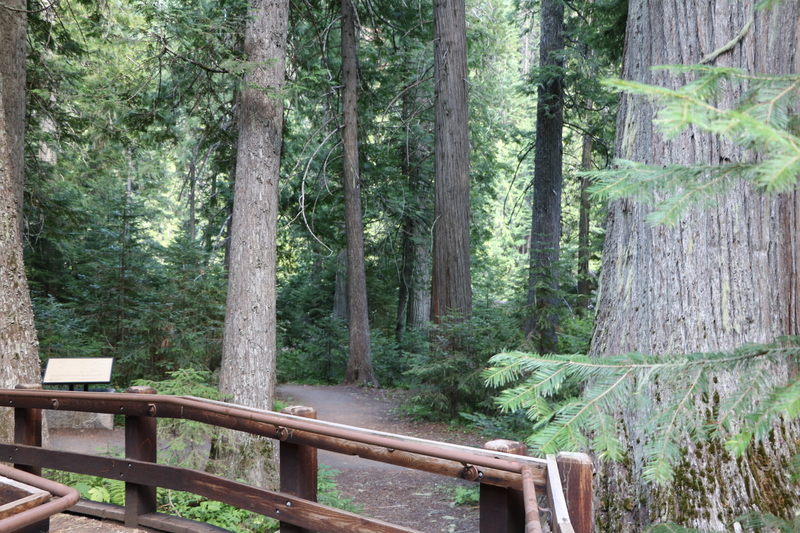 The RV park is just beautiful but while we were there the air was thick with forest fire smoke. We heard that later, the park had to be evacuated due to Lolo Peak Fire. 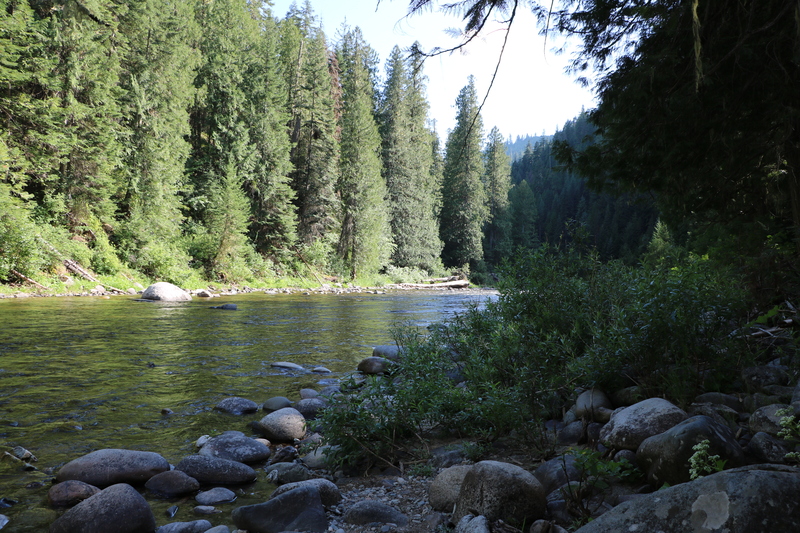 We took a drive up to Lolo Pass which goes into Idaho. Lewis and Clark took this way twice on their way to and from Oregon. In fact Traveler’s Rest right by our RV park was a stopping point for them on their journey. 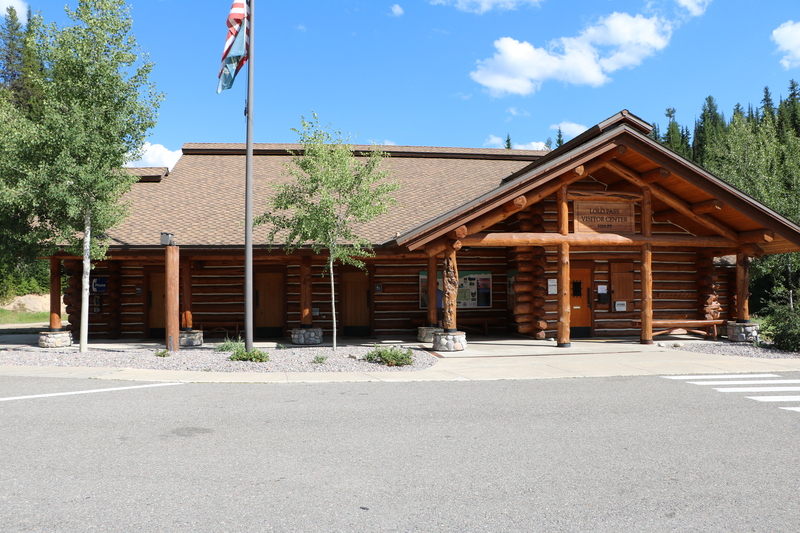 The Visitor’s Center on Lolo Pass is pictured above; it was closed by the time we got there, but I bet it’s interesting. We stopped at the Devoto Memorial Cedar Grove and walked along the pathways which are on either side of the road. One walk led to a beautiful view of the Lochsa River. We stopped at the Lochsa Lodge for dinner and took in the sights! Literally just down the street from our Missouli friends Jim and Carol is Fort Mussouli. It was built in 1877 and was used as a Japanese Interment Camp during World War II. A lot of the buildings are still standing plus there is also a museum that runs a short film telling about the history of the fort. The chair on the left above was donated by a family who came from Illinois and said it was once sat in by Abraham Lincoln. 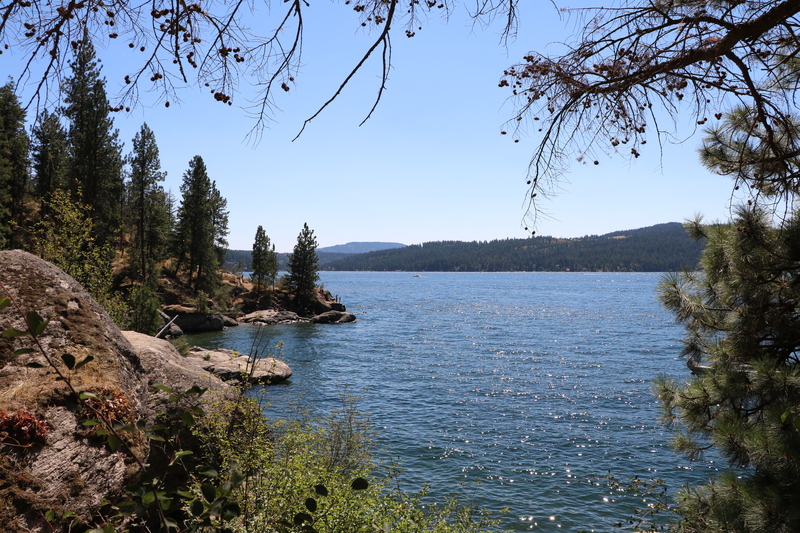 After leaving Missoula, we went back into Idaho to Coeur d’Alene and saw beautiful Lake Coeur d’Alene. 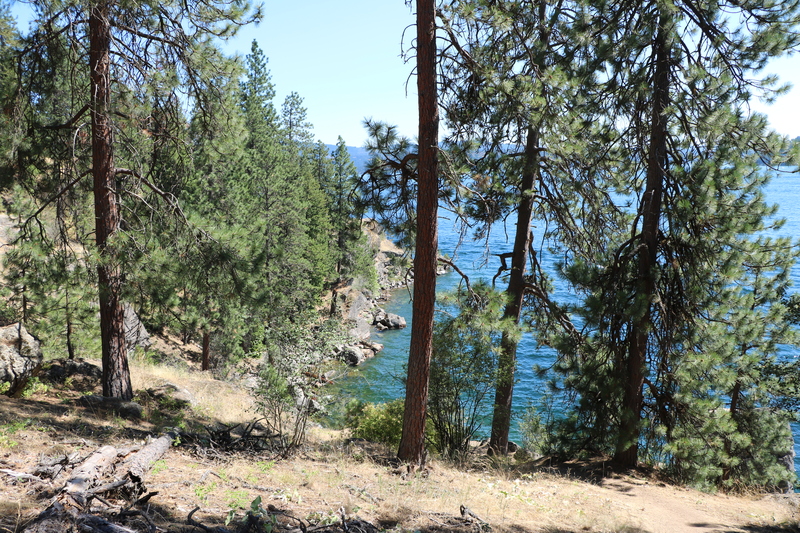 We took a hike through Tubbs Hill which is in the McEuen City Park. 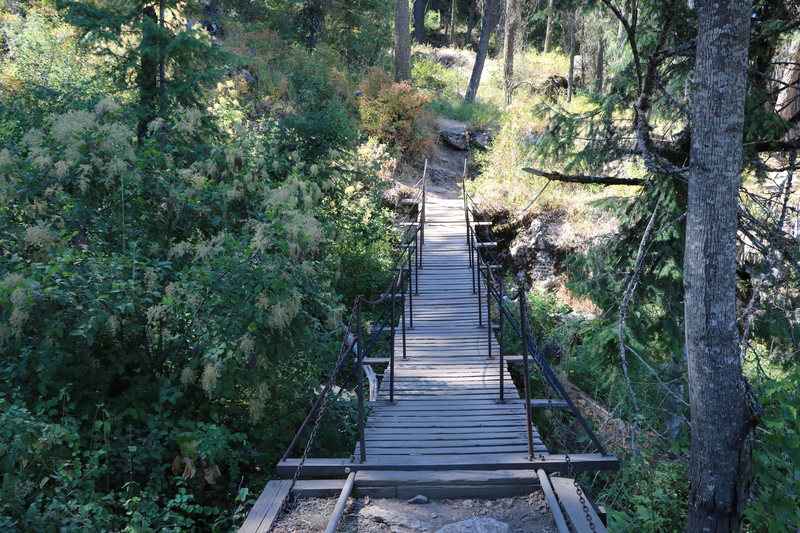 The trail follows the lake before going across the center of the hill. The lake doesn’t really have a beach, just lots of rocky points which jet out. People left the trail to jump off the rocks and sun bathe.